Sunrise, FL – The Ontario Hockey League proudly announced that 31 OHL players were selected in the seven rounds of the 2015 NHL Draft held this weekend at the BB&T Center in Sunrise, Florida, representing over 14% of the 211 players picked by all 30 NHL clubs. 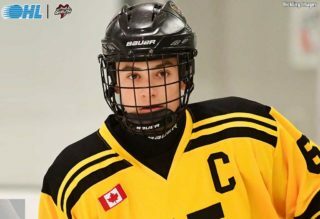 The 31 OHL players included seven selected in the first round including four picks in the top-six led by Connor McDavid of the Erie Otters who became the ninth straight CHL player to be selected first overall. 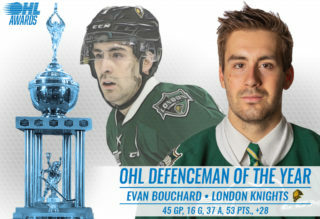 The second round of the 2015 NHL Draft also featured seven OHL players bringing the league’s two-round total to 14 representing close to 23% of the top-61 selections. 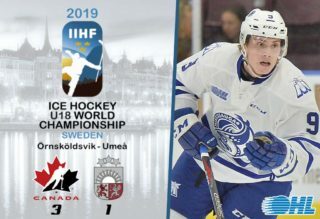 The OHL contributed to the Canadian Hockey League’s total of 95 players selected including 34 players from the Western Hockey League, and 30 players from the Quebec Major Junior Hockey League. 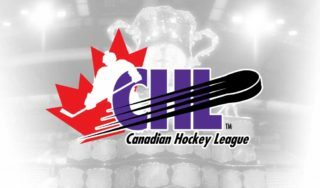 A total of 54 CHL forwards were selected including 18 from the OHL, along with 37 defencemen (12 OHL), and four goaltenders (1 OHL). 14 different OHL teams developed NHL Draft picks in 2015 led by four from the Barrie Colts and Sault Ste. Marie Greyhounds. The four Colts represents a modern draft record, while the Greyhounds also tied their modern draft record set in 2011 and matched again in 2014. The OHL and MasterCard Memorial Cup champion Oshawa Generals had three players selected, while the OHL finalist Erie Otters also had three players chosen. 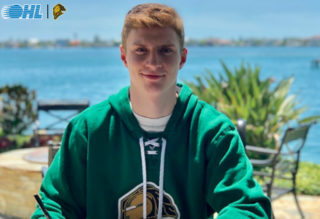 With two players selected, the London Knights continued their record streak of consecutive players chosen each year since 1969. 17 different NHL teams selected at least one OHL player led by the Toronto Maple Leafs and New Jersey Devils with four OHL players each, followed by the Calgary Flames and Tampa Bay Lightning who each selected three OHL players. Following the 2015 NHL Draft, a total of 2,229 OHL players have been selected since 1969 representing just over 21% of all players.